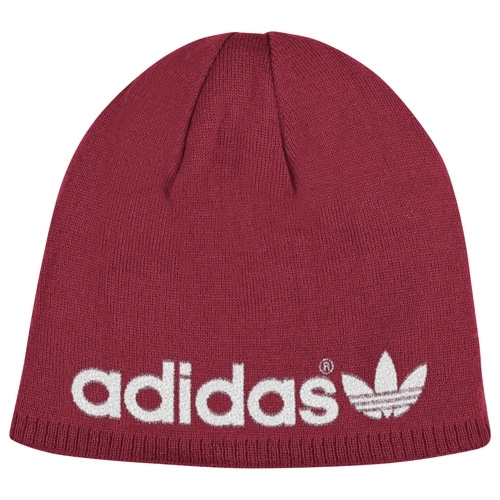 This great looking knit beanie from ADIDAS featuring reversible flexibility. 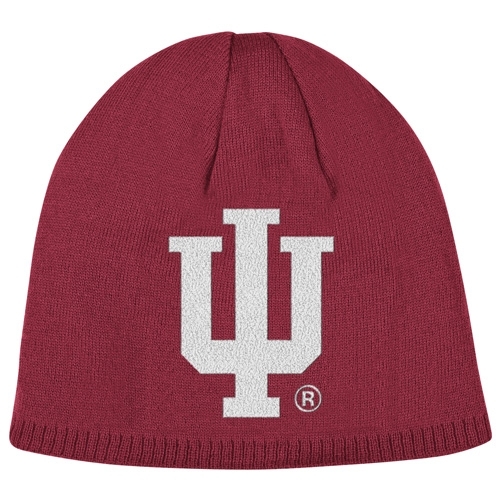 One side is Crimson with horizontal white stripes on hem with an IU embroidered logo on front with Crimson jacquard INDIANA on both sides which gives more of a textural effect. 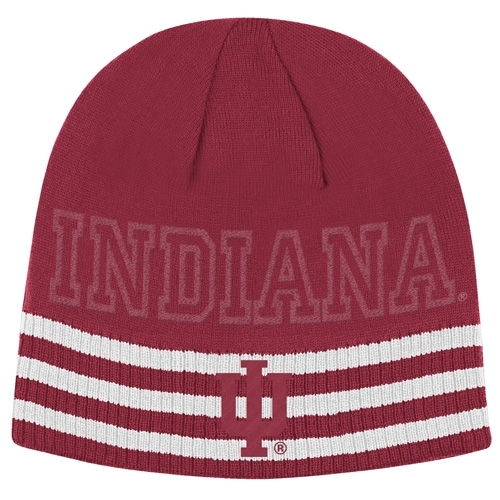 The reverse side is also Crimson with a white jacquard oversized IU logo and adidas trefoil logos. 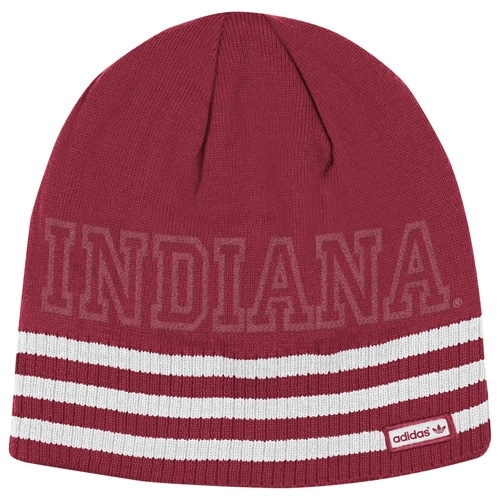 There's a lot of versatility to this two sided beanie Great for colder games or just out and about!